It’s Friday. Fun, glorious things should happen on Friday, right? Right. 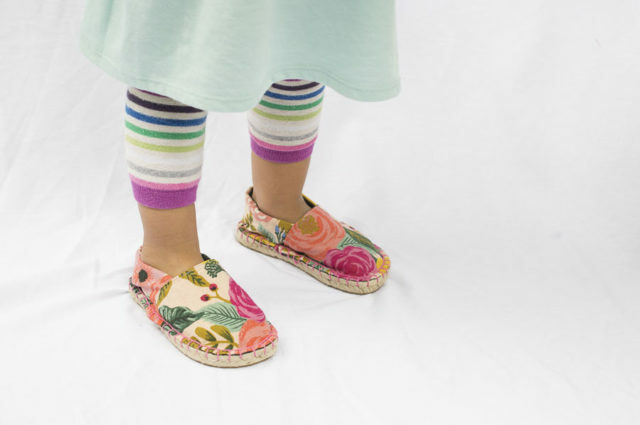 That’s why I am so excited to announce the release of espadrille kits for kids! 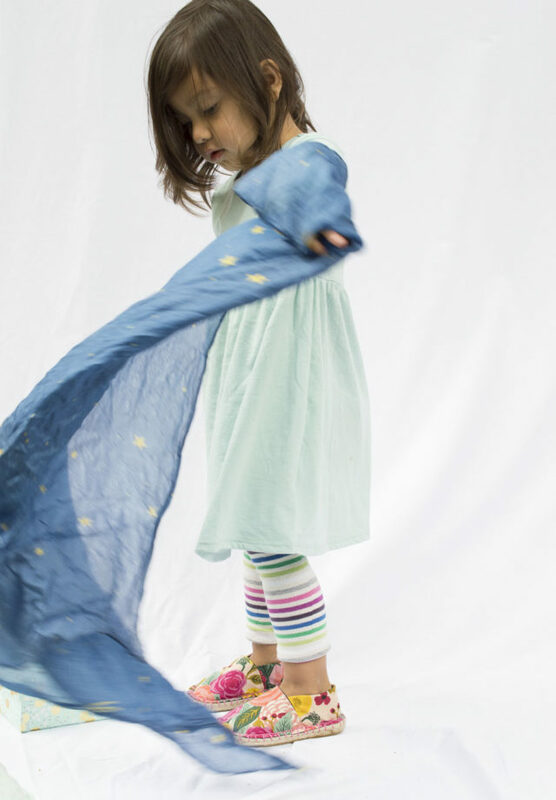 These fabulous kits come in toddler to kid sizes from a teeny size 3 to a kid size 11. My friend’s adorable daughter agree to model them for me and she is a total natural. Plus, she owns some seriously sweet leg warmers. 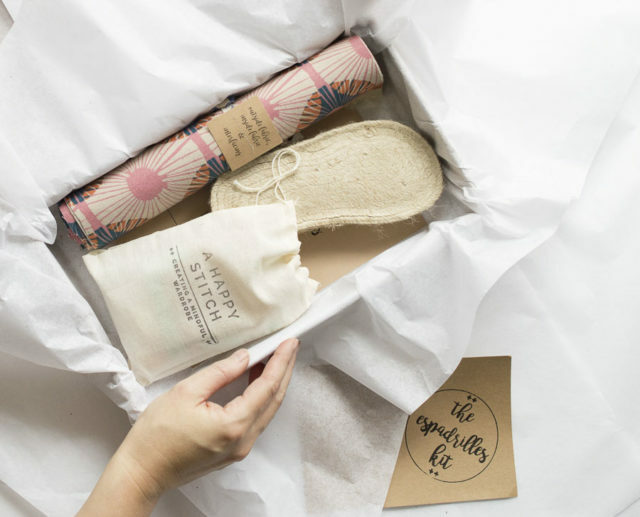 As always, the kits include everything that is needed to create a pair of lovely espadrille shoes (except the sewing machine, of course). 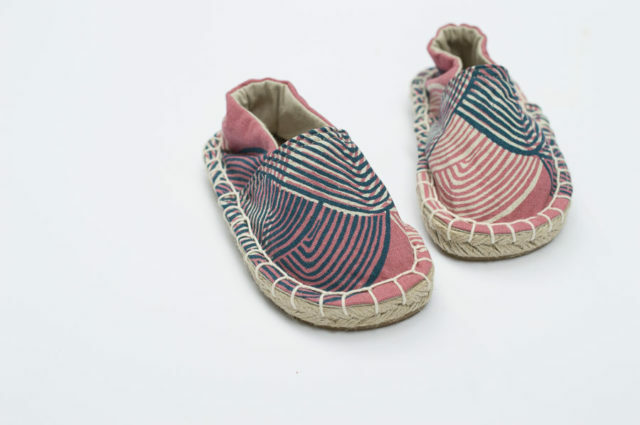 In the case of the kid espadrilles kits there are a few things that are a little different from the adult sizes. Most importantly, the kits come with one yard of 3/8″ braided elastic. The elastic is used on the back heel to help keep the shoes on the active feet of little ones. Instructions on how to insert the elastic are included in the kid instruction booklet that comes with the kit. I spent a good deal of time finding the width of elastic that allowed for a tighter heel without adding too much bulk. I’m really happy with what I ended up with but if you wanted an even snugger fit you could go for a stronger elastic like a 1/2″. I have to say it’s pretty genius and would be totally applicable to the adult sizes as well! 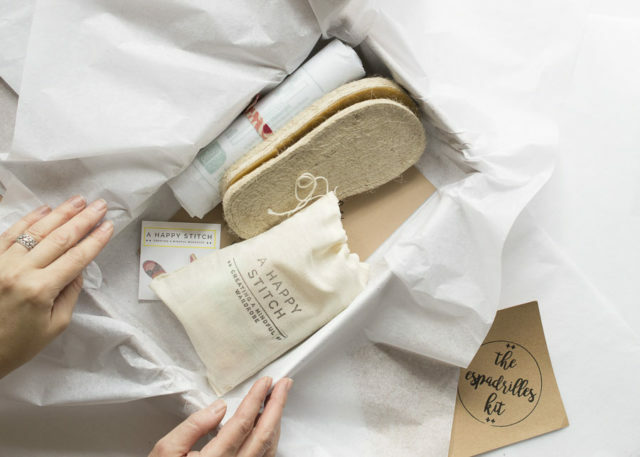 The kits come with or without fabric. (Any of my kits that do not include fabric are called I GOT IT kits…as in, I don’t need the fabric because I’VE GOT IT.) I GOT IT kits come with interfacing but no lining or main fabric. 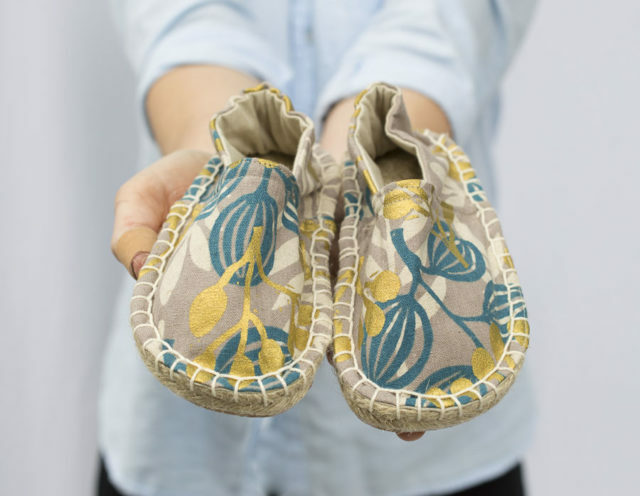 The espadrille kits for kids require very little fabric (especially at the smallest sizes!) 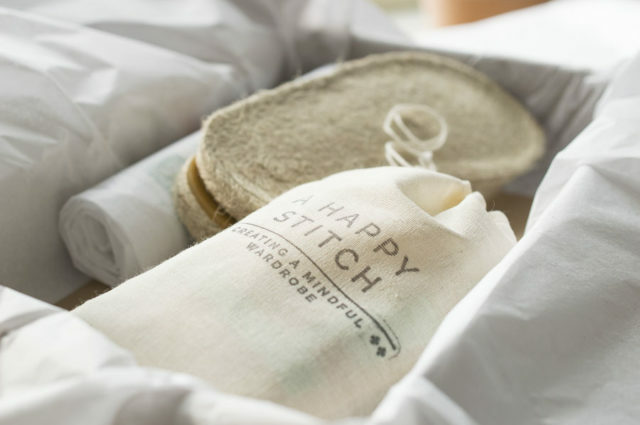 so this is a nice opportunity to use that precious canvas or thicker cotton-linen fabric you have in your stash to make something super fun. 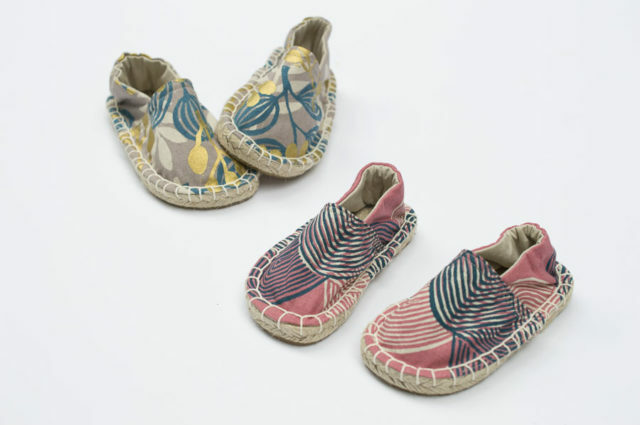 The kid espadrille kits with fabric include both a lining and main fabric of your choice. I had to, of course, include all of the Jen Hewett prints for these kits because they are so playful and bright but check out the listing to see the additional options including some Rifle Paper Co.! The other fun thing about these kits is I managed to snag a variety of colors for the stitching yarn so you get a choice between blue, pink, purple, white, bone (classic) and black and even a few red. 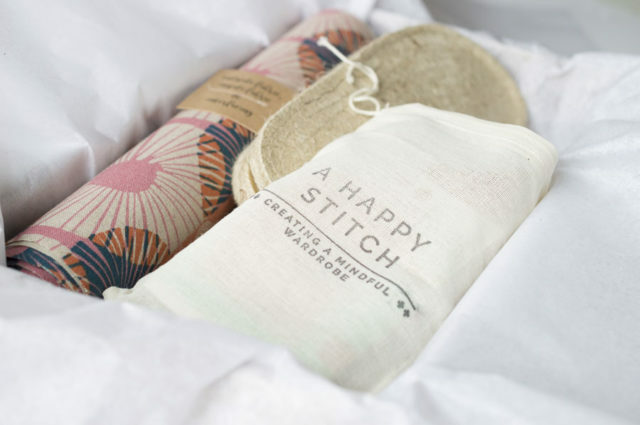 These kits really stand out to me as a great gift for the adventurous grandma or auntie who sews. They would definitely be perfect for making matching shoes for a casual wedding. Ah, the adorable and imaginative options are ENDLESS!